The Range Rover brand has always been at the pinnacle of making sporty and luxurious SUVs and now, the company has unveiled a new model of their flagship SUV, the Range Rover Vogue, christened the SV Autobiography Dynamic. The model is priced at Rs 2.79 crore, ex-showroom Delhi. The vehicle has been created by JLRs special division SVO(Special Vehicle Operations). What makes this model special is the graphite atlas accents, red Brembo brake calipers as well as unique and different rims, that will be only on offer on the Dynamic model. On the inside, you will now have diamond quilted leather seats. The rotary gear shifter, the front and rear doors now have a unique red line which gives the Dynamic a unique personality. The cabin also gets the company’s 10″ InControl Touch Pro infotainment system. Under the hood, the SVAutobiography Dynamic only comes on the range topping petrol variant. The engine in question is a 5.0 liter supercharged V8 that produces 543 Bhp and 625 Nm. The engine is mated to an 8-speed automatic transmission. While the vehicle is limited to 250 kmph, it has a 0-100 time of 5.4 seconds. We are excited to introduce the Range Rover SVAutobiography Dynamic in India. The Range Rover SVAutobiography Dynamic is designed and engineered by Jaguar Land Rover’s Special Vehicle Operations (SVO) team who are passionate in their commitment to explore new frontiers of luxury, performance and technology with the objective of delivering an unmatched experience to our discerning and equally passionate customers. This is not the only SVO vehicle on sale in India today. In addition to the Dynamic, the company also has the Range Rover Sport SVR and the F-Type SVR on sale in the country. 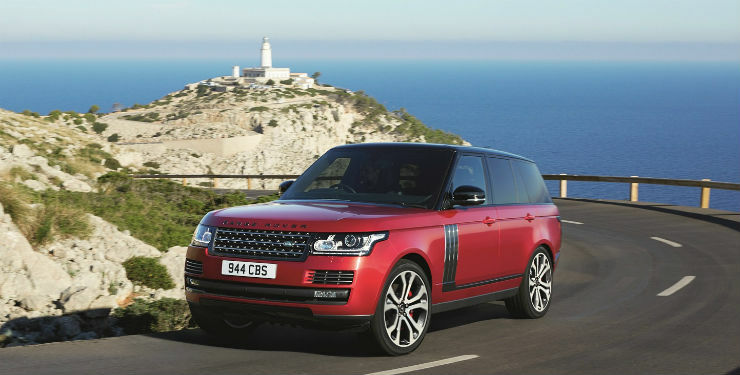 You can also opt for the Range Rover SVAutobiography with a long wheelbase version.